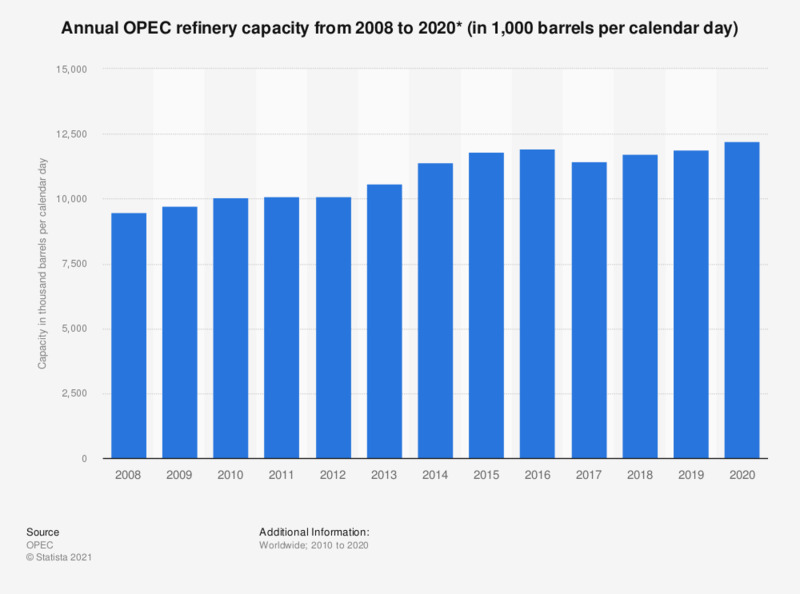 This statistic depicts the total refinery capacity of the OPEC member states from 2010 to 2017, measured in thousand barrels per calendar day. In 2017, the OPEC countries had a refinery capacity of some 11.4 million barrels per calendar day in total. Figures as at year-end. Some figures were converted from barrels per stream day. Capacity excludes condensate refineries.